MCKINLEY PARK — The world as we know it has ended, the earth is barren and the undead are coming right at you. If you’ve got a little bit of know-how in the art of survival, you’ll probably last much longer than your unprepared counterparts. "I would definitely say that most people in the city are not prepared. They really don't have a plan," said Nick Conrad, an environmentalist and survivalist who will lead a free “Zombie Survival Training” class at 2 p.m. Saturday at the McKinley Park branch of the Chicago Public Library, 1915 W. 35th St.
Conrad, 32, of Lakeview, runs a business called The Green Suite, where city dwellers can take courses in do-it-yourself solar power and indoor urban farming or buy household items made from recycled materials. 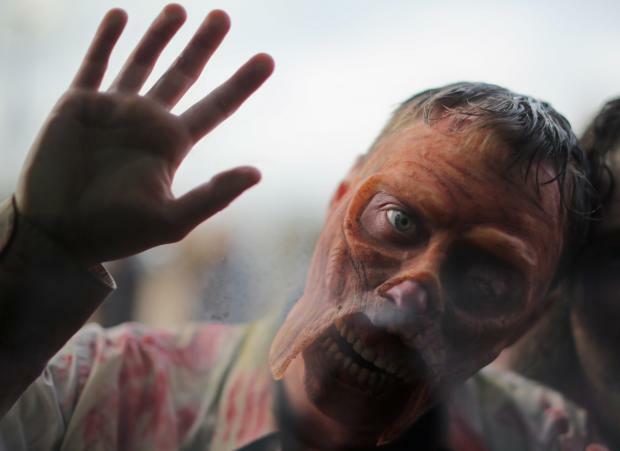 But for the last year, he's also led popular "zombie survival" courses across the city, focusing not necessarily on the unlikely zombie apocalypse, but on the more likely natural disaster or terrorist attack. "If a natural disaster happened we’d be pretty freaked out. I’d be freaked out. But I’ve been teaching these classes, and for anybody who takes these classes, they'll have at good idea on where to get started" to survive, he said. To that end, his upcoming course will teach participants methods of preserving food and water, whether to stay put or flee in the aftermath of an emergency and how to make weapons, like, say, a crossbow or a baseball bat with a circular saw blade bolted to the barrel. The lessons will include fashioning a camping stove from empty pop cans and creating a water filtration system from salvaged parts. To coincide with Conrad’s course, the library is unveiling a new collection of “zombie and post-apocalyptic” fiction and nonfiction survival manuals. Registration is required for Saturday’s class and space is limited. To reserve your spot, sign up at the library’s circulation desk or call 312-747-6082. Parents must accompany kids under age 13. Conrad also is hosting a course at the Holiday Club, 4000 N. Sheridan Road in Uptown, on Thursday. The cost for that course is $25. Details are available at The Green Suite website.